Honors College student Jordan Montgomery is the first Lope accepted into the Navy Submarine Program. Some jobs you just know you’re destined to do. Whether it’s to be the world’s next leading actor or the best nurse in the Valley, college is the place to plant that seed and watch it bloom. Most people spend their four years in college nurturing that dream and planning for that exciting moment when that seed finally blossoms. Electrical engineering major and Honors College student Jordan Montgomery never imagined her junior year would make both her engineering and Navy dreams a reality. 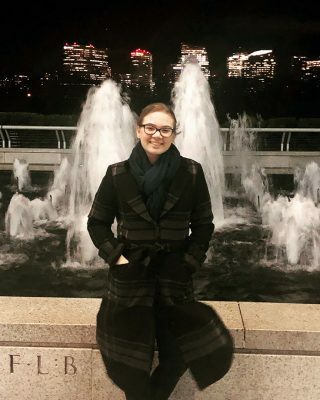 Last spring, she received an email from her career services counselor with information on how to apply to the Nuclear Propulsion Officer Candidate (NUPOC) Program, not knowing that very email would open a big door for her. Boot camp for Montgomery starts in May 2020. “I looked at it and decided to wait,” she said. “That was sophomore year, spring semester. That summer I thought about it and I finally started the process in July. After taking what seemed to only be the beginning steps, she continued on the application process and advanced through her phone interview, and in January she found herself interviewing with a four-star admiral in Washington, D.C. After months of applying and a full day of interviewing, a mere minute after stepping out of her final interview, she received the news she had been waiting for. The submarine program consists of officer boot camp, 12 to 18 months of training and three years of deployment on a nuclear submarine followed by two additional years on land. Upon completion of the program, Montgomery will have years of leadership experience and technical training along with her military experience, all within her young adult life. She is scheduled to begin boot camp in May 2020. Being a young woman and having a position that expects her to be the leader of people nearly double her age in a career largely occupied by men, she has been preparing for possible animosity. But she looks forward to being one of the few women who have just, as of recently, been allowed to be deployed on subs. For the past three years at GCU, she has worked as a marketing student worker for the Honors College after joining the college her freshman year. So, naturally, when she informed her Honors College supervisors of her application for NUPOC, they were more than willing to lend a helping hand. From mock interviews at networking events to connection opportunities, such as the email she had received informing her of the program, Montgomery was surprised just how big a role the Honors College played in helping her earn her dream job. “It’s kind of eye-opening seeing that these networking events actually helped to get to that position,” she said. In addition, Montgomery is grateful for all the help she received from her former Physics II professor, Andrea Strock. 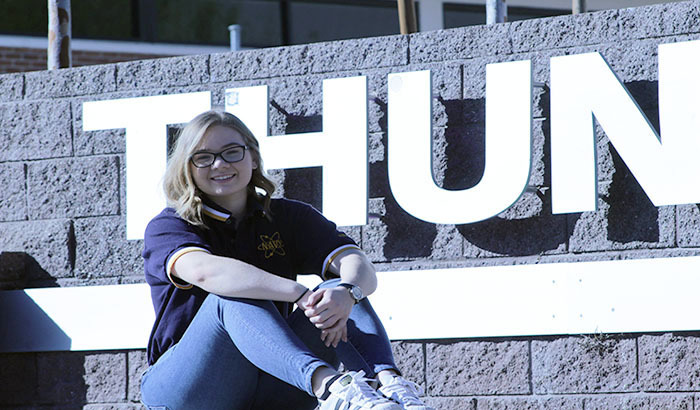 Montgomery is the first GCU student to make it into the submarine program and hopes she can be helpful to future Lopes applying for the program. Contact Ashlee Larrison at (602) 639-8488 or ashlee.larrison@gcu.edu.